Have you created a catalog of products that need to be printed professionally? Maybe you have created a marketing presentation and you need a custom booklet or handout? You might need a booklet printed that highlights the benefits of doing business with your company. No matter your circumstances, Short Run Forms prints easy-to-read booklets with a stunning combination of colors, graphics and words. 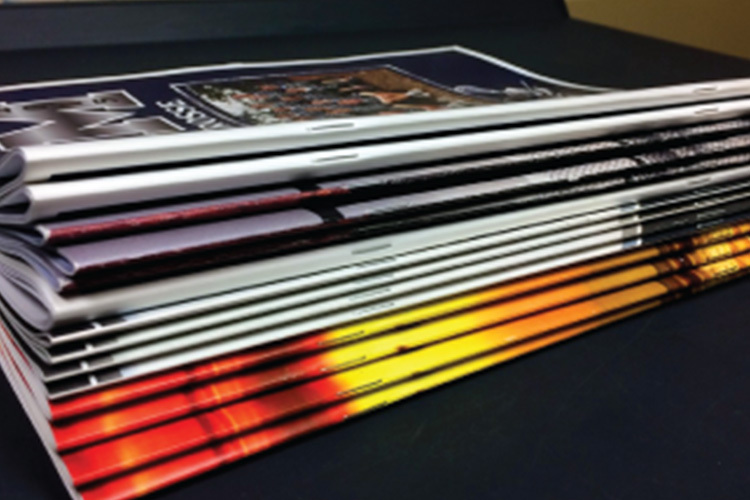 Short Run Forms prints high quality booklets of all sizes and shapes. 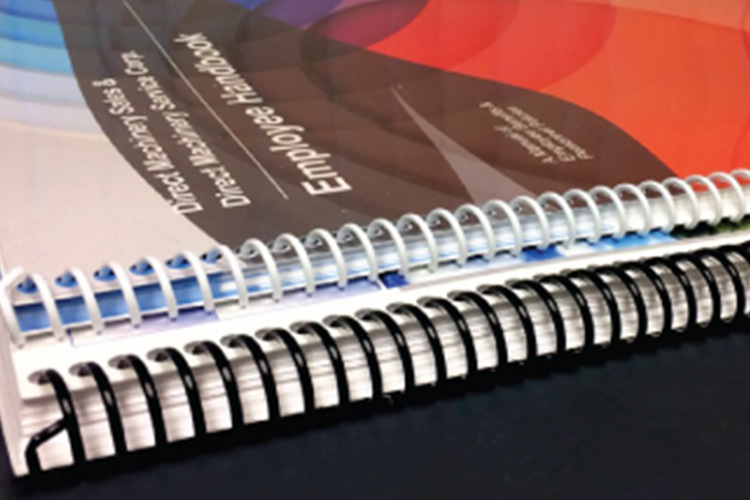 Custom booklets are a great way to put your own touch on your marketing collateral material. Get fast printing for your booklet with superior quality at a price you can afford. Short Run Forms has the latest and most innovative printing technology for printing small and large booklets with an amazing finish. If you are a corporation, small to medium size business, or independent practitioner, Short Run Forms will print a customized booklet that will make your business stand out. 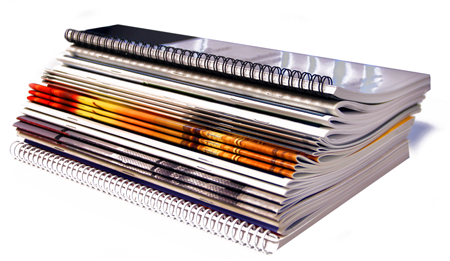 Short Run Forms prints booklets in custom sizes, different paper stocks, weights, page counts and a host of bindery options. Saddle stitching is probably the most popular type of book Short Run Forms prints. Print either self cover (all the same paper stock throughout) or mixed media (Cover and insides are different). Short Run Forms has the capability to print and bind up to 20 spreads. Plastic-coil binding is made up of a tough plastic that spirals through the entire book. Black and white are the most popular colors, but you can also get custom colors. It is recommended, but not necessary, that you use a heavier front and back cover. 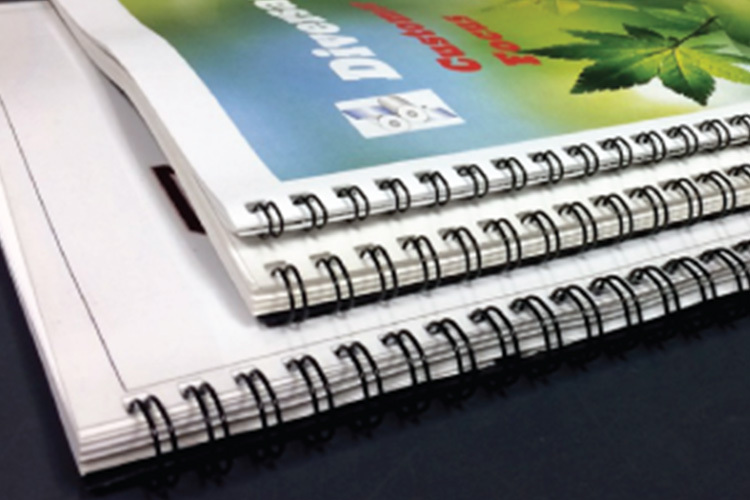 Perfect Bound booklets are glued at the edge and require a heavier cover. 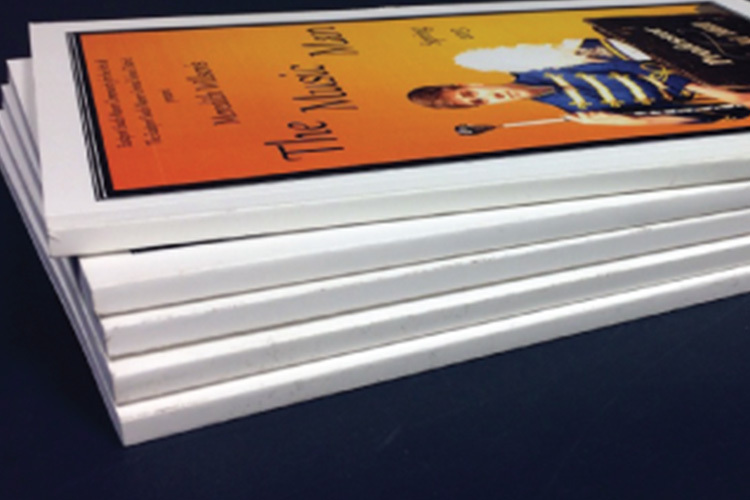 The gluing process will guarantee a strong hold for your books. These are great for notebooks, yearbooks and playbills. Wire-O binding is made up of a tough double ring metal that spirals through the entire book. This binding option is only available in black. It is not necessary, but recommended that there be a heavier front and back cover applied. Multi-page printing for booklets has never been easier. Supply Short Run Forms with your print ready document and the art department will make sure it prints to perfection in black and white or in full color. Your booklet will arrive on time when you need it. Short Run Forms graphic design team will make sure that your files look great before printing them. The staff will look over all aspects, like fonts, colors, crossover spreads, photos and bleeds to make sure everything is properly put together so your booklet prints perfectly.